We will be welcoming our first child in less than a week. We started having a lot of conversations about starting a family a couple of years ago and have been preparing for it, including moving from dual incomes to one. It has been a roller coaster ride for us — emotionally, mentally, financially and physically. Of course, we cannot prepare for everything, but we wanted to do our best. And preparing financially for the baby is what we could anticipate best. I want to share what we have done so far in the hope that it could help other new parents, but also to ask for feedback on what we missed. I won’t be talking about baby expenses per se. We have saved some money for the initial expenses, but in this post I am talking about lifestyle changes and long-term financial impacts. If you are interested in what to buy for the arrival of little bundle of joy, check out this post – Preparing for a baby. Due to personal and health reasons, I quit my job a little more than a year ago, even before I got pregnant. When we were a dual-income family, we had above-average income and a lifestyle to match. So cutting half our pay was a really pressing issue. We prepared for the income reduction for a year before I quit making sure we could manage the baby expenses in one income and still save for essentials. Debt under control: We paid off our car loans and made sure not to incur any debt. Currently, the only debt we have is a mortgage. My husband got a new job with better pay: This increased our cash flow and helped ease our anxiety. We moved to a less expensive neighborhood: We used to live in Los Angeles. After I quit my job, we decided to move to an area that would help us stretch our dollar even more. Increasing our income streams: Cutting the expenses only took us so far. We still want to fund our targeted savings goals and not stop our retirement contribution. So I picked up a few freelancing jobs and implemented other projects to increase our income. Career debate: I don’t want to give up on my career, so I wanted to make sure I had a plan to get back to my career after a break. I reached out to some of my mentors to figure out how I can continue to stay in touch with people in my field. That way, when I re-enter, I hope to be a competitive candidate. Childcare: We don’t think we will need a lot of child care presently, but might in the future if I do want to develop my freelancing career and my business. So I have been surveying childcare options to make sure we can fit that in the budget if necessary. I can only imagine how much having a child will change our lifestyle. It feels like we have already made a lot of lifestyle changes, and I am sure it is only the tip of the iceberg. We expect to have to reconfigure our lives, our schedules and goals. Review goals: So far our long-term and short-term goals don’t include another little person. We like to travel, eat out and value certain material comforts. Our goals will need to be re-evaluated. Emergency fund: I calculated my emergency fund based on my current risk tolerance level. But if I include a child in the equation, my risk tolerance goes to zero. We have increased our contribution to our emergency fund quite a bit. There are some benefits and perks available to us; but with all the excitement, most of us wait too long to think about these and miss out. HSA/FSA: We do not have this option with our insurance; but you may, so I wanted to include it. We did calculate the amount required for deductibles (mine + baby’s), all the doctors, ultrasound & lab co-pays, and saved it in a separate savings account. If we had access to an FSA, we would have put our savings in that account and saved on taxes. Health Insurance: I dropped my cheaper insurance and opted to join my husband’s expensive insurance this year because it covers a lot of things mine didn’t, had better coverage and better hospitals. Qualifying-event period: Having a child is a qualifying event to change health insurance coverage. Usually, I throw away all the junk that comes with the insurance paperwork. This time, I saved the pamphlet that detailed the procedure to add/change our insurance. Will/Estate planning: We have a very basic will at this point. I am assuming it won’t change much, but we will need to add another beneficiary and think about the child’s future if we die during his/her young years. We also discussed about who will become our child’s guardian in case something were to happen to both of us and will add it to the estate planning documents. Life insurance: Until recently, we didn’t see the need for life insurance. We recently bought our first home and now that we are starting a family, we added enough life insurance for both of us. Retirement planning: As part of our cutting costs, we had cut our retirement contribution to save for the house down payment quickly. I also lost access to the company match when I quit my job. So that put a dent in our retirement savings. This year I am opening a solo 401k to catch up. We are also very slowly increasing my husband’s 401k contribution. 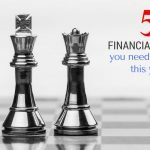 I know we have to be flexible and adapt our financial plan as we learn and grow with our baby, but I would just like to have an initial plan we can work off of. I know we are in for a wild ride! How did having a child change your lifestyle and your financial planning? While we all make great plans for our children, it always seems like they get shot to bits. Emergency Room visits, etc. In the UK you can actually open a junior SIPP for children. A SIPP is a self invested Personal Pension plan, I’ve committed to pay all the Child Benefit money into the plan to give my son a head start when it comes to money. Once he’s ready to contribute to his pension hopefully he’ll have a significant pot already. Great post, thanks for sharing. To save on health care costs, my husband and I have asked my mom to move in with us, rent free, to help raise any future children so I can still continue to work. I still would take the maximum I could take of un-paid maternity leave which still means we would need to budget accordingly beforehand and plan the vacation time. It seems like you all have really planned well and should be well off when the time comes. Congratulations! Congratulations on the forthcoming big event. I hope you enjoy becoming parents as much as I did. My youngest is 13 months, has just started walking, but loves getting up at 5am. Special times – they go so quickly – enjoy every minute of it. Kids shoes can cost a fortune, and they only wear them for a very short period of time before they out grow them. Wow, first off congratulations on the impending bundle of joy you are about to usher to the world! And sure, having a kid changes our perspectives, plans and even finances, suddenly you have another person totally dependent on you for all her needs until they are reasonably adults. By all accounts I would say your family is pretty prepared for the kid. Well, adjusting to being a one income family can be tough, but with a bit of planning and foresight it does become easier.